On our way up to York Harbor last week we stopped at one of my very favorite houses, the Lady Pepperell House in Kittery Point. I can’t remember when I first saw this house, but by my teens I was biking over from York to gaze at it and sneak around the grounds. 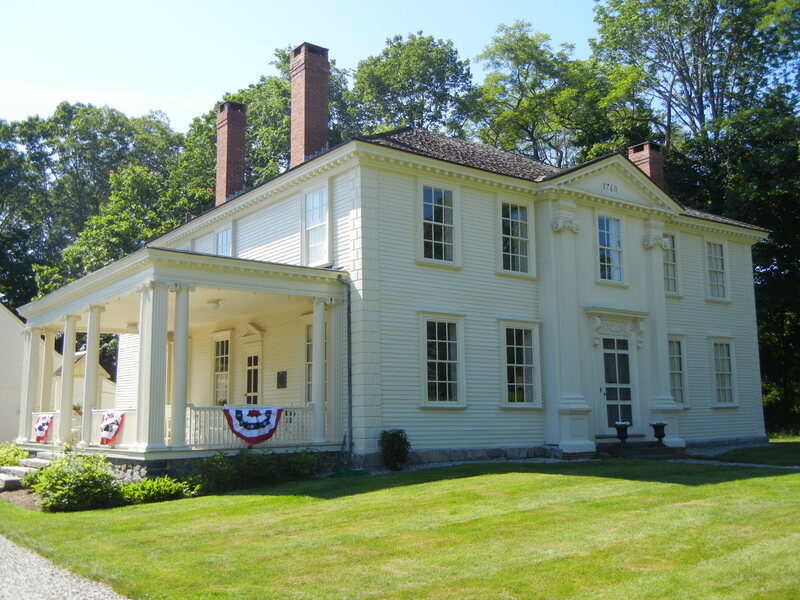 It just seemed so effortlessly elegant and graceful, when compared to both the colonial architecture of York Village and the Victorian cottages of York Harbor. We didn’t have to sneak around this time, as the owner graciously let us walk around the grounds and take some photographs. Dolphins over the front door! 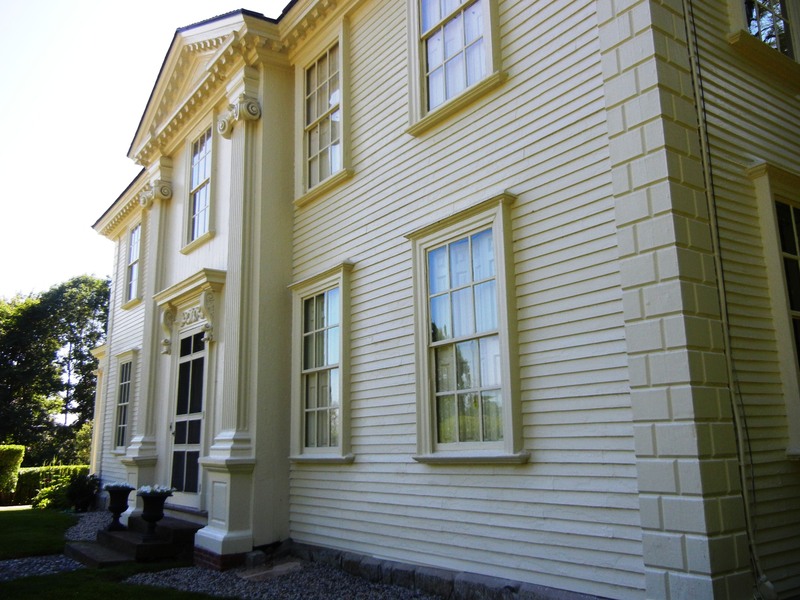 The house was built in 1760 by the newly-widowed Lady Mary Hirst Pepperell, and its architectural history has already been carefully recounted by The Down East Dilettante. Actually I find myself a bit more interested in the lady than the house at this point in my life, for some reason. Lady Mary appears to have been a woman who was surrounded by very powerful and ambitious men all her life, until the latter part, when she clearly lived life on her own terms. 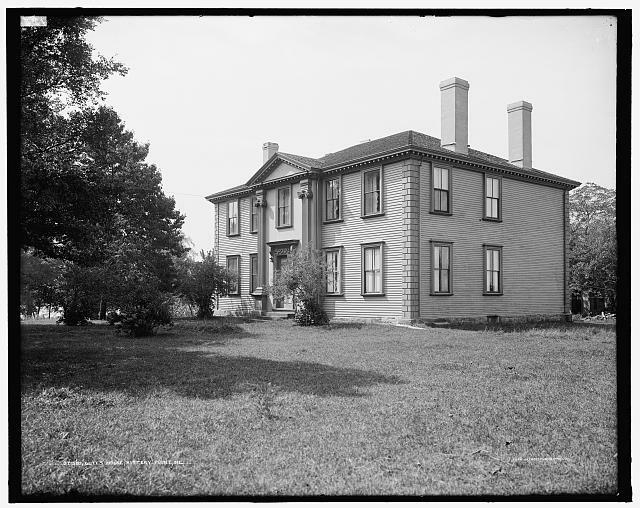 She also had solid Salem connections: her paternal grandfather William Hirst was a prosperous Salem planter and her maternal grandfather, the diarist and Judge Samuel Sewall, was on the bench during the Witch Trials. Her father, Grove Hirst, apparently made a fortune as a Boston merchant, making her a very good catch for her husband, the up-and-coming William Pepperell, also a successful merchant (out of Kittery, then part of Massachusetts) who would go on to reap military and noble honors after he organized and led the New England expedition that captured the French garrison at Louisbourg on Cape Breton Island in 1745 and became the first colonial Baronet shortly thereafter. And so Mary became a Lady, although many references establish that her privileged Boston background and education had already made her one. Two of Mary’s and William’s four children died in infancy, prompting her to write the poignant poem A Lamentation &c. On the Death of a Child. 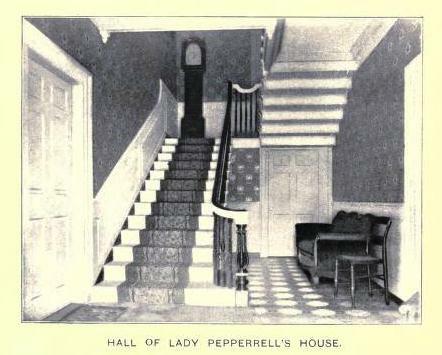 Their son Andrew died in early adulthood, leaving only one surviving child, Elizabeth Pepperell Sparhawk. Shortly after Sir William’s appointment as acting Governor of Massachusetts and Lieutenant General in 1759, he too died, leaving Mary a very wealthy widow. 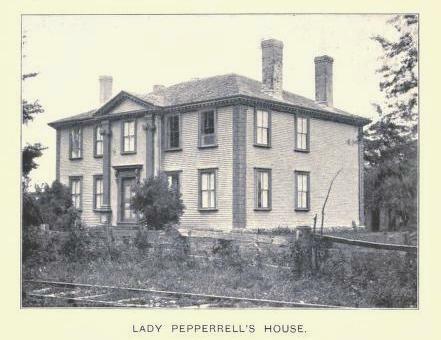 She left the older Pepperell family homestead in Kittery to her grandson (who was made heir to the residue of the Pepperell fortune with the condition that abandon the surname of his birth, Sparhawk, for Pepperell) and promptly built her Georgian mansion. 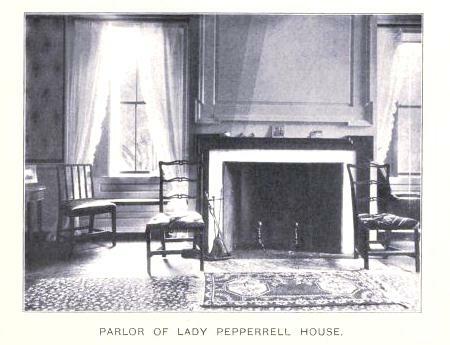 When the War of Independence began 15 years later, the conspicuous Tory William Sparhawk Pepperell fled America for Britain (where he was rewarded with a new Baronet title) but his grandmother “weathered the storms of Revolution” at her home. 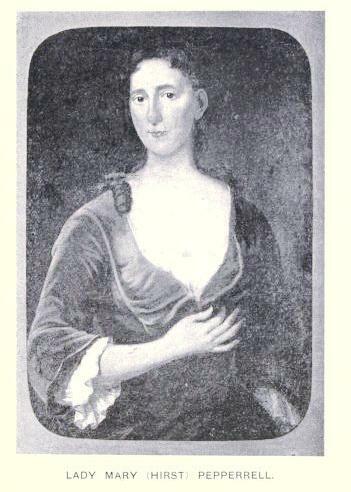 Mary Hirst Pepperell died in 1789, with the New England Gazetteer noting a few years later that her natural and acquired powers were said to be very respectable, and she was much admired for her wit and sweetness of manners. This entry was posted on Wednesday, July 6th, 2011 at 10:46 am	and tagged with Architecture, great houses, Photography, Witch Trials and posted in History, Houses. You can follow any responses to this entry through the RSS 2.0 feed. Judging from your pictures, I’d say the house was much improved by being painted white, and the addition of the side enclosed porch! Nice house! I love the old photos. 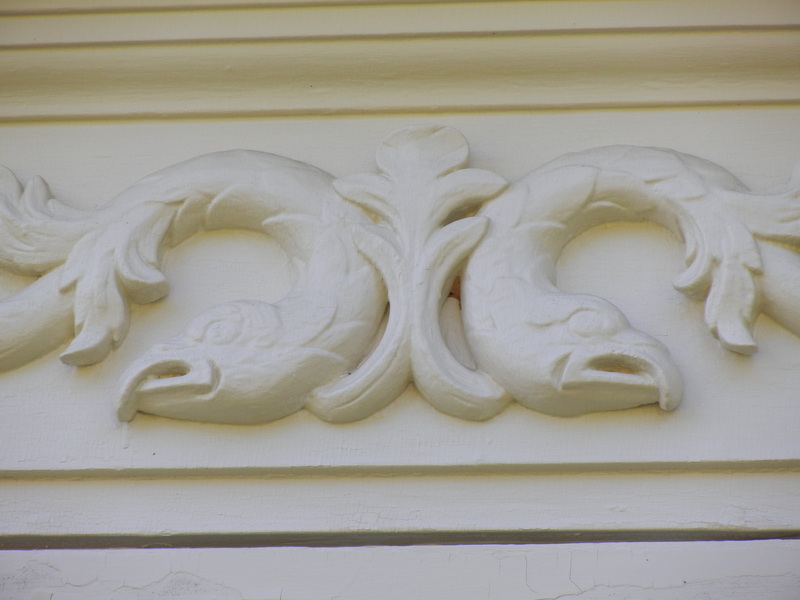 But it doesn’t really look like dolphins over the front door to me…. You know, Mark, I think you’re right—they look like plain old fish. They do look like fish, but they also look like the creatures on glassware, vases for instance, called dolphin vases! I was once told that the confusion comes because there is a mammal called the dolphin, and also a fish called a dolphin! Very helpful, Priscilla. I think you are correct. Correct, these are dolphin FISH. They are very similar to the fish on Navy Submarine Sailors insignia’s the sailors wear on there uniform. 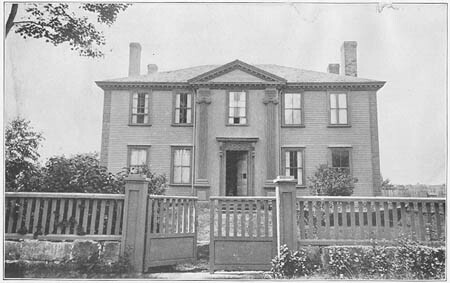 I live in Kittery and just yesterday I took a few photos of the grand mansion. Even though I have many photos, I can’t resist more. Thank you, Nelson! As you can see, we went back and forth on this. I can’t resist the house either.